These aren’t just M&S grapes, these are ‘cost more than five grand’ grapes. 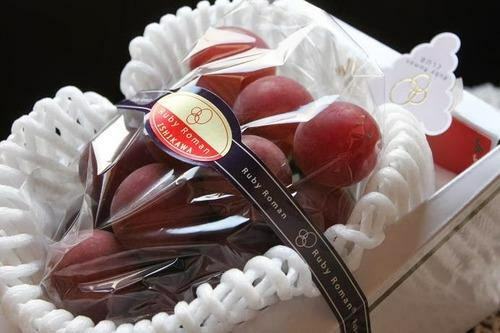 These Ruby Roman grapes sold at auction in Japan yesterday for ¥1 million. Let that sink in a second! Ruby Roman grapes are selectively bred, so they are high in sweetness, and low in acidity. A developed breed first created 14 years ago, they first went on sale at auction in 2008, and have beaten their own price record every year since. The first batch of fruit and food is considered to bring good luck in Japan, which will explain why they go for considerably more than they should do. Even so, £5k for some grapes is insane. The top bidder this year is the owner of Hotel Nikko Kanazawa, and the rapes will be used as desserts in the hotel this week, should you want to see what the fuss is about.